Visit other Skywatch Friday sites. I may seem strange to build a library in such a lonely place..But it allows great pictures! This is such a quirky campus but I love it there. Nice shot. So well composed. Lots of blue and white. Nicely done! And nice to hear from you again! Thanks for stopping by and I hope you have a wonderful weekend! The only time I was here was a dark and stormy night, but the building is exquisite inside... Those blue skies are perfect. 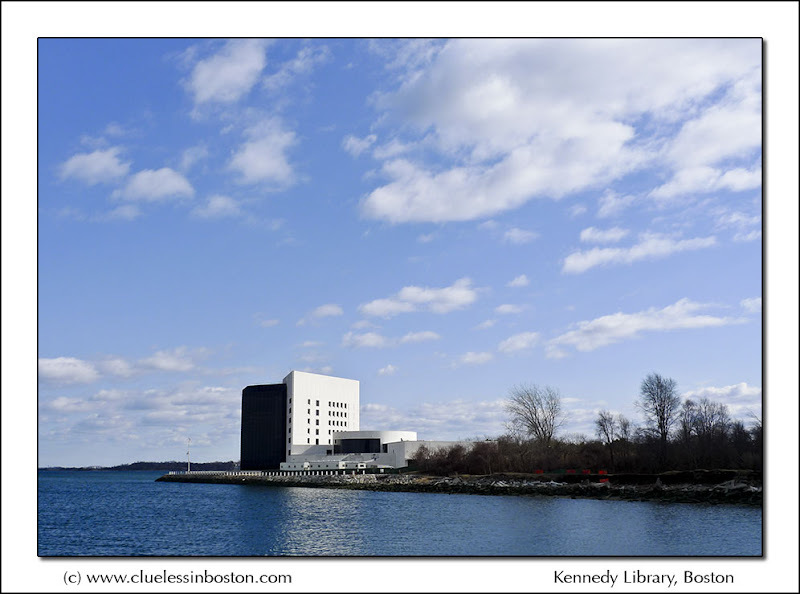 I like the reflection of the library in that beautiful blue water. That sky sure gives the photo depth. Haningeterrassen - [image: Haningeterrassen] The mess that is Haningeterrassen. Latest Updates - City Daily Photo - Around the world every day. (c) 2007-2015 by James A. Barrett . Simple theme. Powered by Blogger.